Here at Coffey Refrigeration of Kennewick we repair all types of restaurant equipment & appliances. We have over 30 years of experience repairing electric ovens. So your electric oven stopped working all of the sudden? Appliances weren’t made to last forever, even the best-made models from the top manufacturers. Your electric oven is no different. If you’re beginning to experience issues with the temperature or timer, or it simply won’t turn on anymore, it’s time to bring in the professionals at Coffey Refrigeration. The last thing you want is to call for a repair and be told your oven won’t be fixed until the next business day. If this occurs on a Friday afternoon, you could be forced to go several days without a way to properly cook meals. Coffey Refrigeration is a team who believes in superior service at a competitive rate with old fashioned values of integrity and productivity, which is why we are available 24/7. Here at Coffey Refrigeration, we have been providing the best commercial kitchen repairs and services in Kennewick and surrounding areas for more than 55 years. We have the privilege of staffing the most-qualified technicians in the area, who are constantly trained and updated with the latest products and tools. This is why we are able to promise we provide the best service possible. We’re here for you every step of the way! For an emergency, give us a call at (509) 586-1519 to request our service technician to be at your kitchen right away. You can also email us at coffey11@ymail.com to set up a non-emergency repair. 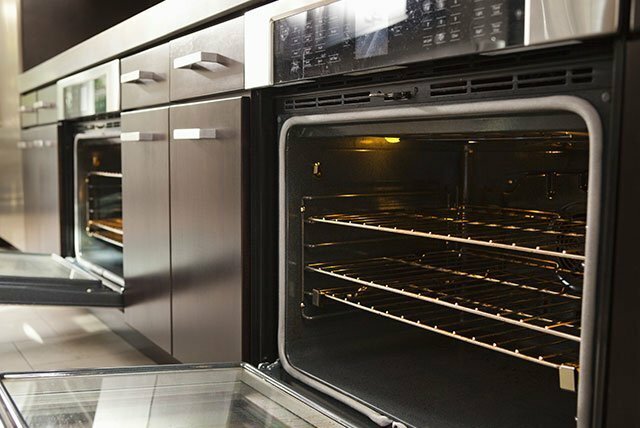 Let Coffey Refrigeration get your electric oven back up and running, so you can get back to cooking.